Size: To 1.5 in wide in tight heads of many flowers. Notes: The plant may be 6 feet tall. 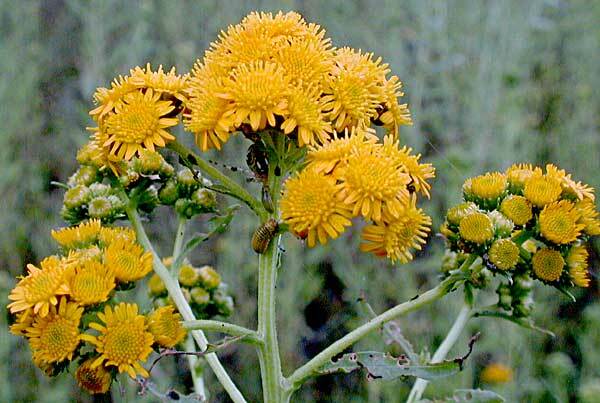 A relative of gumweeds, the leaves and bracts are sticky. 2 species of Xanthocephalum in Arizona.